I find myself going back again and again to the photos I took a few weeks ago on a drive through North Carolina and Virginia near the Blue Ridge Mountains. I've edited another one to share with you today. 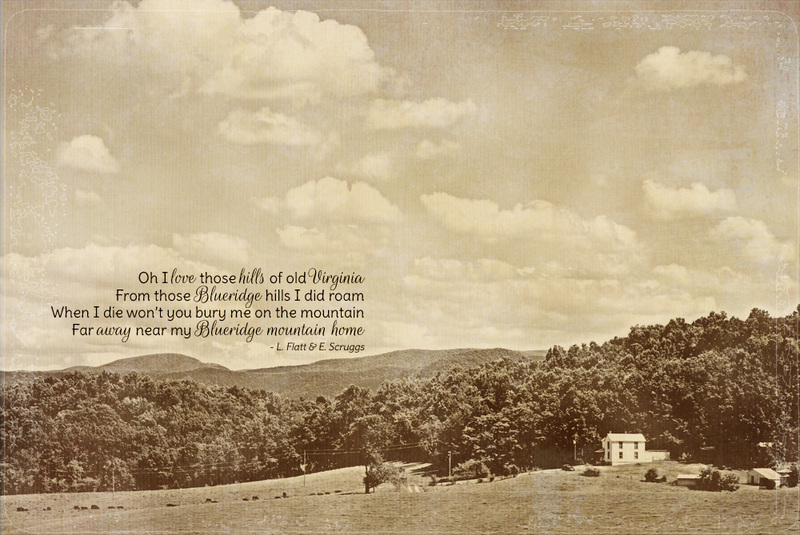 It's accompanied by the lyrics of Blue Ridge Mountain Home by Lester Flatt and Earl Scruggs.